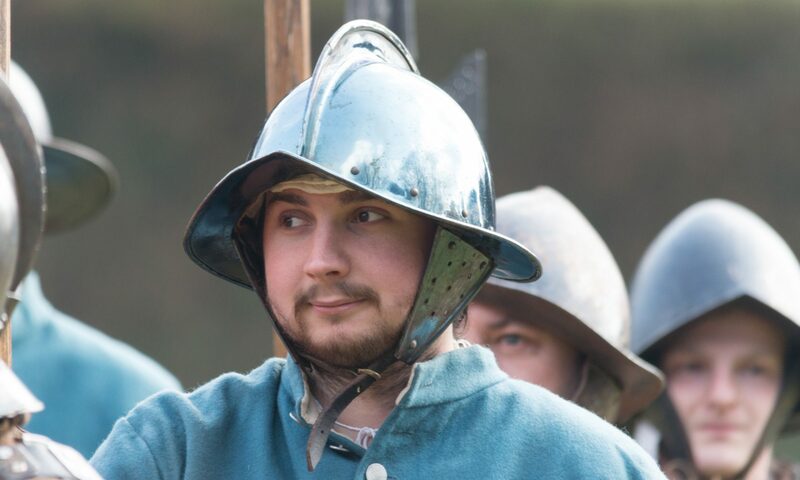 Q: Why is the Society called the Sealed Knot? A: The Sealed Knot Society was named after a secret Royalist group who formed during the Protectorate of Oliver Cromwell to restore Charles II to the throne of England. There were 6 original founding members who made 8 attempts between 1652 and 1659 to restore the English throne to Charles II. Q: How is the Sealed Knot different? A: The Sealed Knot Society is one of the oldest and largest re-enactment societies in Europe. We are able to do anything from cameos with a few members up to major battles with thousands of combatants on the field. The Society was formed in 1968 by Brigadier Peter Young with a small group of friends at a party portraying royalists, but within a few months there was 200 members and over the years our membership has grown to several thousand. In 1983 we were granted our own coat-of-arms by the College of Heralds. Q: What is a muster? A: A “muster” is a military expression for a gathering of troops. The Sealed Knot use this term to describe the type of event we are holding. Booked Mini Muster – have limited camping space, so you need to book in with the host Regiment. Mini Muster – Not limited camping space and you’ll see up to 300 members attending. Large Mini Muster – Not limited camping space and up to 800 members attending. Major Muster – Most of the Sealed Knot will turn up to these events so your looking at up to 3000 members attending. Q: Do you do events all year round? A: We do events through out the year, but the main bulk of events is through the summer months or ‘campaign season‘. Our Regiment try to join with local events such as the Crafty Craft and Carnival. And there is always meetings through out the winter months including our social. Q: How will I find out the details of forthcoming events? A: You will receive a copy of The Hibble Scribble, the newsletter of the Regiment, normally quarterly every year, plus Orders of the Daye, the Society magazine, every two months. You can also find out the latest information and any last-minute updates on our website, which is worth checking on a regular basis.